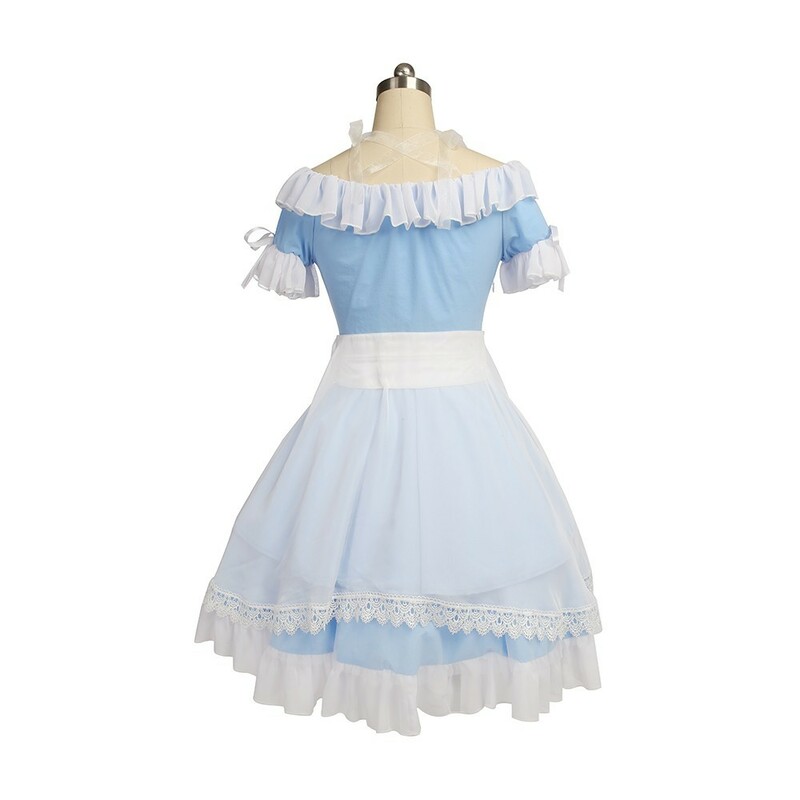 Made of Cotton + Polyester + Spandex + Chiffon,high quality and comfortable to wear, tailor-made, fit you best. 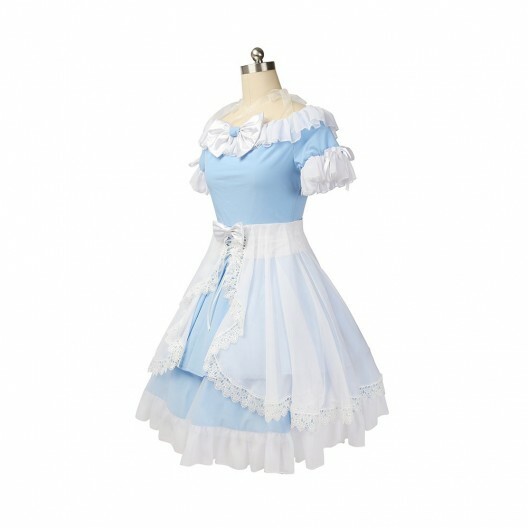 The costumes are both accurate designed, exquisite in details, made according to the original version, great for Alice Cosplay.Alice is a fictional character and protagonist of Lewis Carroll's children's novel Alice's Adventures in Wonderland (1865) and its sequel, Through the Looking-Glass (1871). 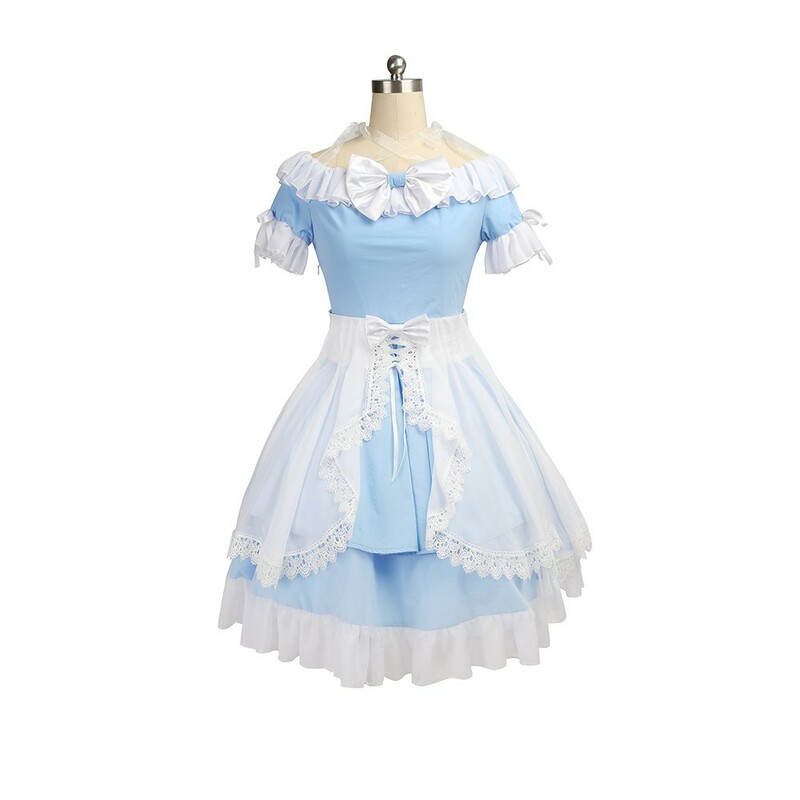 A child in the mid-Victorian era, Alice unintentionally goes on an underground adventure after accidentally falling down a rabbit hole into Wonderland; in the sequel, she steps through a mirror into an alternative world.